GQ publishes an article critical of fired Donald Trump campaign manager Corey Lewandowski, who tried to parlay his connections to the President after his June 2016 dismissal into a lucrative lobbying business that includes a health IT connection. 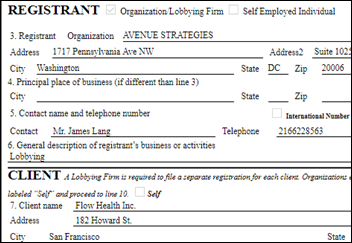 Among the clients Lewandoski recruited was Flow Health (the former GroupMD), which hired Lewandowski’s firm in December 2016 to pressure the VA to reconsider its termination of Flow Health’s contract for AI-powered patient care systems. 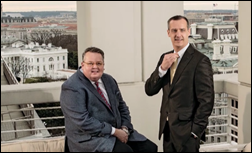 GQ reports that Lewandowski’s partner (who managed Ben Carson’s presidential campaign) told Flow Health CEO Alex Meshkin that the lobbying firm could reverse the VA’s decision because he and Lewandowski were personally vetting Trump’s picks for VA secretary. He also promised that the firm would allow Flow Health’s CEO to submit a list of his preferred choices for role of VA CIO, overseer of the Flow Health decision. The article says that Flow Health proposed an apparently illegal payment schedule of a flat payment of $250,000 if the VA reversed its decision by February 17 and $100,000 if it took an extra week, later amended to reword the payments as severance fees. None of that mattered, as it turned out, because Trump chose as VA secretary David Shulkin, who had co-written the letter that dismissed Flow Health in the first place. GQ says Lewandowski then proposed that Flow Health do an end-run around the VA by either appealing to Trump directly or by using Lewandowski’s appearance on the Sean Hannity talk show to trash Shulkin in hopes of getting him fired. 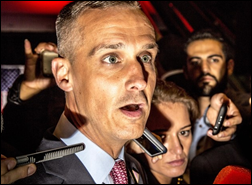 Lewandowski quit the firm – for which he was serving as an unregistered lobbyist — two weeks ago after widespread questions about his efforts to sell access to the President, which he calls “fake news” and for which he blames his former partner. 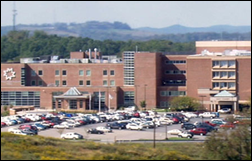 Flow Health’s VA contract remains terminated. Googling “Alex Meshkin” turns up a fascinating Bloomberg story from 2005 about the then-24-year-old’s questionable background as he formed a Nascar racing team that quickly failed. From Second Responder: “Re: anniversary date. Isn’t HIStalk’s anniversary coming up soon? I remember it’s late spring.” I started writing HIStalk in June 2003, although I don’t recall the exact date. From Judith R. Lin-Miranda: “Re: video. 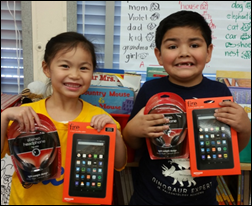 It’s now a common practice for new Epic customers to introduce themselves. Mary Washington Health Care just set the standard by which all others will be judged.”The elaborate video is indeed well done, including taking some digs at Siemens/Cerner Soarian that was “cobbled together” as they were “working with a third of what Soarian promised.” The video even lobs some shots at Epic’s high cost. President and CEO Mike McDermott, MD, MBA did an amazing job in the lead role. It’s better than anything ZDoggMD has done. I would give it my “Best Picture” award if I had one. From Gory Details: “Re: press release. Here’s ours, which you probably won’t mention since we aren’t an HIStalk sponsor.” Not true. I mention every press release that I think is newsworthy to my C-level audience, which typically includes all sales and go-lives that: (a) involve a vendor, client, and event that are all significant; (b) would interest readers who don’t follow the company; and (c) contain a link to a timely press release that is well enough written that I can quickly figure out what it’s trying to say. Otherwise, readers outside the company usually aren’t interested in fluff pieces about partnerships, self-proclaimed market momentum, and minor personnel and funding events and I’ll nearly always skip those. I’ve learned over the years that every company executive thinks all of their announcements are anxiously awaited, which is nearly always not the case. Do something newsworthy and you’ll see it on this page. I’ve noticed a recent sneaky practice of call centers (both inbound and outbound) that place you on hold, but play pre-recorded keyboard clicking sounds so you think a human is on the line. A reader offers a third punk band whose singer has a PhD (in addition to those I named, Bad Religion and The Offspring): The Descendents, which has been a major influence to untold bands that aren’t even punk for its 40 years of existence. Milo Aukerman left the band to complete his PhD in biology at UCSD and conducted post-doctoral research in biochemistry at UW-Madison. His nerdy caricature is the band’s mascot, rolled out in 1982 for the album “Milo Goes to College” that noted his temporary departure. Beyond all that academic talk, there’s a new hard-rocking album from Seether that’s worth a listen. I asked John Gomez to put together a WannaCry malware webinar with only hours of lead time because his presentations are always outstanding and informative. This one he did Tuesday afternoon is no exception. I was attentive for the whole thing, which isn’t usual for me since I have a short attention span. 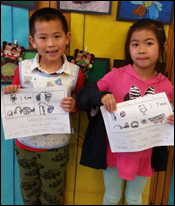 Thanks to John for agreeing to help get information out quickly. Wisconsin startup IDAvatars, which develops healthcare avatars powered by IBM Watson, opens a funding round in hopes of raising $2 million. Premise Health will implement Epic in its 500 work site health and wellness centers. It apparently replaces Greenway Health. 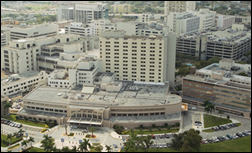 University of Miami Health System (FL) chooses Kyruus Provider Match and KyruusOne to connect patients with providers based on their clinical needs and preferences. The Commonwealth of Virginia and Bayview Physicians Group will integrate Appriss Health’s prescription drug monitoring program analytics software into provider EHR workflow. Mark Costanza (Nordic) joins Spok as SVP of professional services. 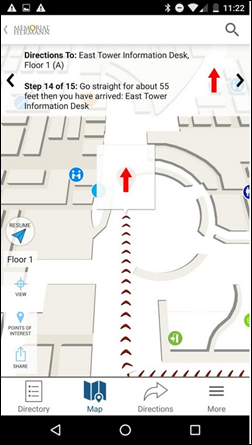 Memorial Hermann Memorial City Medical Center (TX) goes live with a digital wayfinding app powered by Connexient’s MediNav. National Decision Support Company adds appropriate use criteria for pediatric imaging to its ACR Select product. CPSI’s TruBridge subsidiary announces its business intelligence dashboard at the company’s user conference. Social media outcry pressures Miss USA to walk back her comments from the Q&A portion of the competition in which she stated that healthcare is a privilege rather than a right, unconvincingly explaining that what she really meant is that she is “privileged” to have healthcare, but regardless, it’s a “right” for all. Missouri’s lost its chance to stop being the only state that doesn’t have a doctor-shopper prescription database as legislation to authorize it failed Friday after the Senate added a mandatory prescriber participation clause, which was opposed by the state medical association. HHS says in a ransomware update call that several medical devices have been infected with the WannaCry virus, but otherwise the US healthcare system seems mostly unaffected for now. Several hospitals around the world reported that they were attacked. Northwell Health (NY) initiated its incident command system Friday morning and patched 200 computers that were behind on Microsoft security updates. In England, a leaked February letter from National Data Guardian Dame Fiona Caldicott to Royal Free Hospital’s medical director says the hospital should not have turned over the detailed records of 1.6 million patients to Google DeepMind for testing of its Streams application, saying it was not appropriate to send Google the information without patient permission since it was not related to their care. 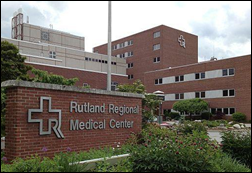 Rutland Regional Medical Center (VT) becomes the latest in a long string of hospitals that have exposed patient information by sending a bulk email to patients using CC: instead of BCC:. 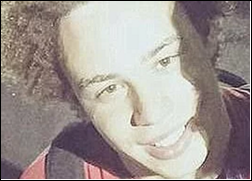 Marcus Hutchins — the 22-year-old security researcher who interrupted his vacation to stop the global spread of the WannaCry virus by discovering and activating its kill switch before it hit US hospitals – is awarded a $10,000 hacker’s bounty that he will donate to charities. He works from a spare bedroom in his house in England for US-based Kryptos Logic. Wired runs a lengthy piece describing the last creation of Steve Jobs, Apple’s $5 billion, 2.8 million square foot mother ship campus. A graphic, moving blog post by ED physician Kristen Ott, MD explains that medical professionals use profane language outside of public spaces because they have to deal with the aftereffects of unspeakable atrocities that can’t really be described politely. This should ring the cash registers of pharma lobbyists: three members of Congress introduce the Fair Drug Pricing Act, which would require drug companies to provide detailed cost and price records to HHS before increasing an expensive drug’s price more than 10 percent in one year or 25 percent over three years. Loss of control with extensive hospital call time and new physician-directed policies written by people who don’t see patients. The impersonality of computer-assigned work, pressure to beat the timer that says tonsillectomies should take no more than 14 minutes of surgeon time, overbooked clinics, and never-ending telephone calls, all of which leave no time to reflect about life with colleagues or to spend time with friends and family. Doctors who ask for emotional support can be placed on restriction or labeled as underperforming. Arcadia Healthcare Solutions will speak at the HFMA Region 1 annual conference May 23 in Uncasville, CT.
CapsuleTech will exhibit at the National Teaching Institute & Critical Care Exposition May 21-25 in Houston. Besler Consulting will exhibit at the HFMA Region 1 annual conference May 23 in Uncasville, CT.
CoverMyMeds will exhibit at the QS/1 Customer Conference May 17-19 in Atlanta. CTG announces expanded portfolio management and help desk services in its Application Advantage program. Cumberland Consulting Group will sponsor the ASO Opportunities Value Visit May 17-19 in Chicago. Impact Advisors VP Lydon Neumann is named one of Consulting Magazine’s Top 25 Consultants of 2017. The local business paper profiles Diameter Health and its ties to Connecticut Innovations. For some reason I suspected that might happen, so I made an MP4 copy before publishing today’s post. Do you suppose it’s legal for me to upload it to my own YouTube channel? Because it is really good even if they don’t want anyone else to see it (it was published as unlisted originally, but a reader sent me the link). They probably slighted a certain EHR company and the lawyers took exception to such honesty. Just a guess. I would guess it is a “legal” thing in the sense that it was out side the bounds of “contractual use rights”. RE: MonHealth rant: Can you say condescension? I knew you could. As we say in WV: You ain’t from around here, are you boy? What’s with the zero-value-add disparaging remark anout Mon Health’s abbreviated name? You would never charge the Univ of Pennsylvania of ‘dumbing down’ their name to Penn Health – they’re an ivy league AMC so their abbreviation must be smart marketing, right? Mon Health is in Appalachia, so their abbreviation must be a result of everyone nearby being too dumb to pronounce the full name. Or maybe they don’t have enough teeth to sound it out. Try elevaying the public discourse, not adding fuel to the dumpster fire. I’ve been an equal opportunity name-sneerer for those that ditched a traditional, perfectly workable and historic name in seeking the trendy: Northwell and Integra (meaningless), Mercy (overly shortened to the point of creating confusion), and NewYork-Presbyterian (incorrectly conjoined). Then there’s the recently renamed Texas Health Harris Methodist Hospital Hurst-Euless-Bedford, maybe the longest hospital name in the country. And in informal usage, there’s University of Kansas Medical Center, which somehow arrives at KUMC as its self-assigned illogical initialism. I remember our hospital marketing people leading us through a series of questionably useful name changes even though the primary name didn’t change — from “Hospital” to “Medical Center” to “Regional Medical Center” to “Health System” and now the trendy and largely incorrect “Health” (since health systems influence only a tiny percentage of health). I’m not sure any of that expensive sign-remaking and advertising really accomplished a whole lot except to justify the existence of those who recommended it. Mr. H, I hope you’ll decide to publish the Mary Washington Health Care video. I don’t see any legality concerns. If someone had sent you an internal memo of interest to the community, I think you would publish it. I think this is about in the same vain. You’re a transparency seeker… and one of the few who hopes to advance out field regardless of its many (sometimes twisted) agendas. Please publish.